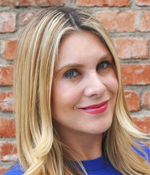 Abbey Thomas is Tremor Video DSP’s Chief Marketing Officer, based out of Los Angeles. Thomas brings her 10 years of experience at Tremor to this new role, including establishing the entertainment vertical, and will continue to help the company grow its business and revenue. Thomas previously served as Senior Vice President, Sales, in charge of the auto & entertainment verticals.